The #1 bestselling horror sci-fi series with over 1,000 5-star reviews continues here with Yesterday’s Gone: Season Five. Will Luca be mankind’s savior or its final judge? Can Boricio overcome his past, or will he succumb to his single weakness — an infected Rose? 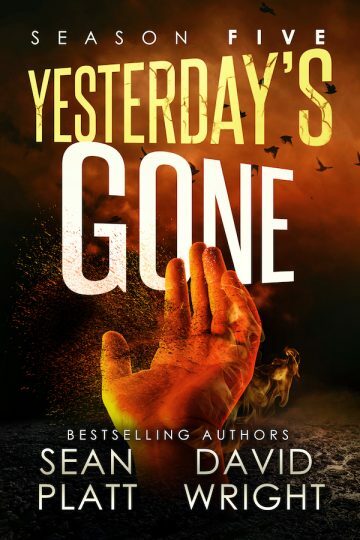 Find out in Season Five of Yesterday’s Gone, the penultimate game-changing season of Sean Platt and David W. Wright’s best-selling post-apocalyptic thriller series.